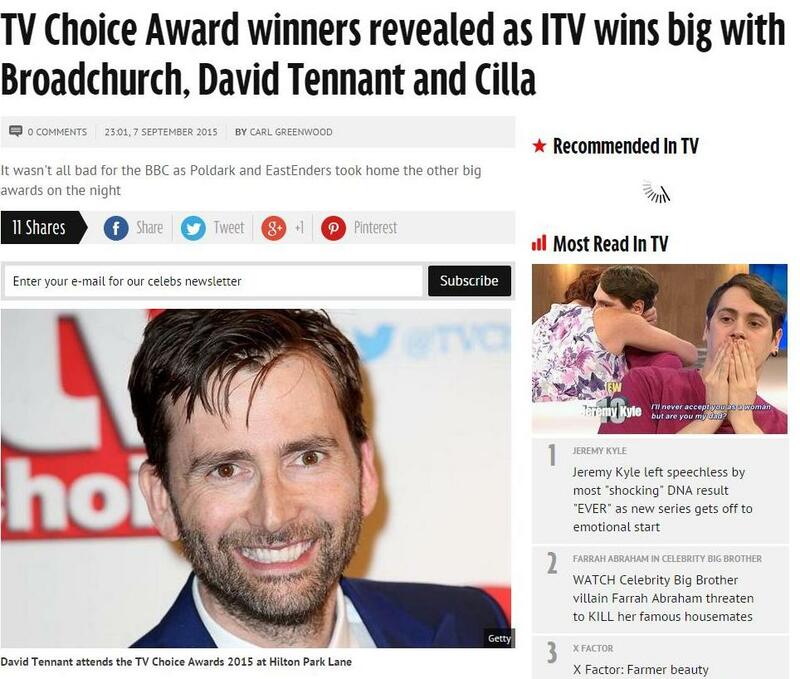 David Tennant attended the TV Choice Awards 2015 at the London Hilton Hotel, Park Lane, London. This ceremony was hosted by Lenny Henry but was not be televised. 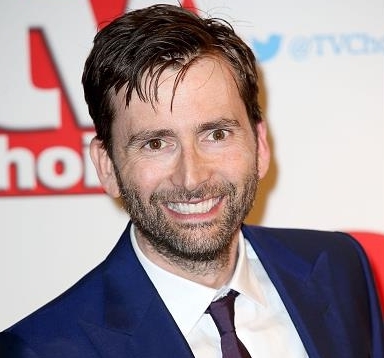 David Tennant won the Best Actor Award (for Broadchurch) and Broadchurch won the Best Drama Series Award. When David collected his award his acceptance speech included "This is really lovely. It's so nice it's voted by readers of TV Choice. I'm very humbled. I'm so proud to be a part of British television." 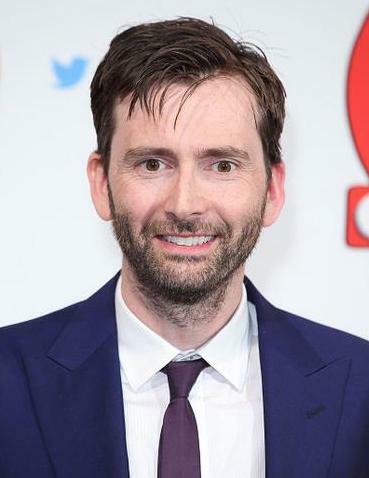 When David collected the Broadchurch award he thanked writer Chris Chibnall and said "without whom we'd be wandering around under a cliff with nothing to say!" There were 16 awards in total including Best Food Show, Best Soap, Best Daytime Show, Best Soap Actor and Best Soap Newcomer. TV Choice has a weekly readership of about 2 million people and voting for the final round was during the first ten days of July. Link to posts related to the TV Choice Awards on Blogger.com.